June Grace Pattullo was an outstanding scientist and highly regarded by oceanographers everywhere, whose legacy continues to influence the field of physical oceanography today (2016). She was born June 30, 1921, in Newark, N.J., and served in the U. S. Marine Corp during the Second World War, where she met her life-long friend and companion Elizabeth (Beth) Strong. June earned her B. S. from the University of Chicago in 1948, and went to the University of California to study and work at the Scripps Institution of Oceanography, completing her M. S. in 1950, and her Ph. D. in 1957 under Walter Munk. Her seminal work on global sea level (published in 1955) showed that the seasonal cycles of sea level at coastal stations are often out of phase with those observed in the open waters of the neighboring ocean. June remained on the staff at Scripps until 1960, when she and Beth moved to Corvallis, Oregon, where she was appointed Associate Professor in the newly formed Department of Oceanography at Oregon State College (now Oregon State University); Beth was hired at the same time, to serve as administrative assistant to Department Chair Wayne V. Burt. Within a few years, June was promoted to full Professor of Oceanography at Oregon State. The new Oceanography Department at Oregon State specialized in research of the local coastal ocean. Dr. Pattullo was glad to participate in local research, but she also continued her interest in global questions and her ties to the international scientific community. She maintained friendship with oceanographers in the Soviet Union and in South Africa, where she spent a six-month sabbatical. She served as vice-president of the Oceanography Section of the American Geophysical Union from 1970 until her death in 1972, and she served on the editorial board of the newly founded Journal of Physical Oceanography. Besides sea level variations, Pattullo’s research interests included the heat and water budgets of ocean; determinations of surface mixed-layer depth; water mass characteristics and their variation; and current shear across oceanic fronts. She had a special interest in coastal upwelling off the Oregon coast, and its role in explaining why coastal sea level is low in summer while it is high offshore. Pattullo was a descriptive oceanographer and frequently went to sea, despite the rules that women could not usually go out on research vessels unless accompanied by another woman. 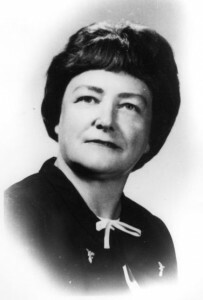 Dr. Pattullo was an excellent teacher, and served as a major professor to 27 graduate students during her 11 years at Oregon State (1960-1972). She was devoted to each of her students and determined to help them succeed; she supported their research ideas and encouraged them to take advantage of new sampling tools such as moored current meters. Many of her doctoral students (including Jack Blanton, Bob Bourke, Curtis Collins, Warren Denner, Ron Johnson, Bob Lane, Chris Mooers, Bob Smith and Merrit Stevenson) went on to successful careers in academia or government service, to educate new generations of physical oceanographers. By early autumn 1971, it became evident that Dr Pattullo was suffering from a serious illness that affected her cognition. Two of her students successfully defended their doctoral dissertations in September. Another student who had recently completed her MS degree was encouraged to seek a different advisor as soon as possible; June’s colleagues were encouraged to accept her continuing students. Pattullo’s illness progressed rapidly, and she died on January 8, 1972. After Dr. Pattullo’s death, the small oceanography library at Oregon State University was named the “Pattullo Study” in her memory; the plaque and her portrait are her portrait are still there, 45 years later. The importance of her pioneering role remains: she is the only female oceanographer in The Biographical Dictionary of Women in Science: Pioneering Lives from Ancient times to the Mid-20th Century (edited by Marilyn Ogilvie and Joy Harvey, 2000, Routledge, Oxford and New York). And, by example, she demonstrated to a whole generation of American oceanographers that a woman cannot only succeed in this field but even excel in it. Mixed Layer Depth Determined from Critical Gradient Frequency. La Jolla, California: Scripps Institution of Oceanography, 1952. The Seasonal Oscillation in Sea Level (with W. Munk, R. Revelle and E. Strong), J. Marine Res., 14, 88-155, 1955. Oceanic Heat Content off Oregon, its Variation and Their Causes (with Wayne V. Burt and Sally Kulm), Limnology and Oceanography 14(2), 1960. An Investigation of the Early Stage of Upwelling Along the Oregon Coast (with R.L. Smith and R.K. Lane), J. Geophysical Research 71(4), 1966. Ocean Currents above the Continental Shelf off Oregon as Measured with a Single Array of Current Meters (with C.A. Collins) J. Marine Research, 28(6) 1970. A Comparison between Wind and Current Observations over the Continental Shelf off Oregon, Summer 1969 (with A. Huyer), J. Geophysical Research, 77(18) 1972. Surface Currents off Oregon as Determined from Drift Bottle Returns (with B. Wyatt and W. V. Burt), J. Physical Oceanography, 2(3), 1972. June Pattullo was an outstanding scientist and highly regarded by oceanographers everywhere. She received her doctorate from Scripps Institution of Oceanography in 1957 and became a research oceanographer for the Institution. In the fall of 1960, Dr. Pattullo was appointed Associate Professor of Physical Oceanography at Oregon State University. During her years of research, she became an authority on sea level and its dependence to worldwide heating and cooling. She also had a special interest in coastal upwelling off the Oregon coast. Dr. Pattullo spent a considerable amount of time at sea despite a rule that women could not go out on her primary research vessel, the ACONA, unless another woman accompanied her. A pioneer in the Oregon State University Oceanography program. Her devotion to her students and to her science remain a model to those who followed her. June Pattullo – oceanographer, scientist, scholar. She is best remembered as a teacher, chalk in hand, enthusiastically illustrating her remarks to colleagues. Busy as a major professor to 27 graduate students during her 11 years with the School of Oceanography at Oregon State University, she managed to publish regularly in professional journals, to be on the editorial board of the Journal of Physical Oceanography and to serve as vice-president of the Oceanographic section of the American Geophysical Union (1970-1972), where she was to become president had not death intervened. Dr. Pattullo was a descriptive physical oceanographer, with a special interest in the coastal upwelling phenomenon off the coast of Oregon. Her investigations, and numerous data reports add immeasurably to the knowledge of the area and the phenomenon. Her inquiring mind led in many directions. She studied writing and public speaking to improve her own efforts and insisted that her students become good communicators as well as good scientists. Oceanic Heat Content off Oregon, its Variation and their Causes (with Wayne V. Burt and Sally Kulm) Limnology and Oceanography 14(2) 1960. An Investigation of the Early Stage of Upwelling Along the Oregon Coast (with R.L. Smith and R.K. Lane) J. Geophysical Research 71(4) 1966. Ocean Currents above the Continental Shelf off Oregon as Measured with a Single Array of Current Meters (with C.A. Collins) J. Marine Research 28(6) 1970. A Comparison between Wind and Current Observations over the Continental Shelf off Oregon, Summer 1969 (with Adriana Jane Huyer) J. Geophysical Research 77(18) 1972. Surface Currents off Oregon as Determined from Drift Bottle Returns (with Bruce Wyatt and Wayne V. Burt) J. Physical Oceanography 2(3) 1972.